Bell Let’s Talk and Unifor are pleased to announce a donation totalling $200,000 to Ma Mawi Wi Chi Itata Centre (Ma Mawi) and CMHA Manitoba and Winnipeg to support the launch of the Strengthening Wellness Education to Love Life (SWELL) program. 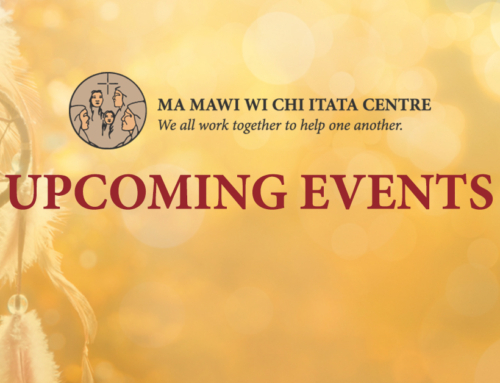 Through the SWELL program, Ma Mawi and CMHA will deliver culturally relevant mental health programs to Indigenous youth and their families. The organizations will partner to deliver promising practice programs through the Listening to One Another and Live Life to the Full programs, which will equip Indigenous families with healthy tools for mental health promotion. Additionally, volunteers and staff from youth-serving organizations in the community will be trained in Mental Health First Aid for First Nations and safeTALK. SWELL will also engage youth through an annual Indigenous Youth Summit to increase their voice in mental health services. Founded in 1918, the Canadian Mental Health Association (CMHA) is the most established, most extensive community mental health organization in Canada. Through a presence in hundreds of neighbourhoods across every province, CMHA provides advocacy and resources that help to prevent mental health and addiction problems and illnesses, support recovery and resilience, and enable all Canadians to flourish and thrive. The Bell Let’s Talk initiative promotes Canadian mental health with national awareness and anti-stigma campaigns like Bell Let’s Talk Day, and provides significant Bell funding of community care, research and workplace initiatives. To learn more, please visit Bell.ca/LetsTalk. Today’s announcement builds on Bell Let’s Talk support for Manitoba mental health programs. In 2016, the Bell Let’s Talk Community Fund announced grants totalling $100,000 to help 7 local Manitoba organizations deliver mental health support in their communities. Unifor is Canada’s largest union in the private sector, representing more than 310,000 workers in every sector of the economy. It was formed Labour Day weekend 2013 when the Canadian Auto Workers and the Communications, Energy and Paperworkers unions merged. The Unifor Social Justice Fund is a registered charity, maintained by contributions from Unifor employers negotiated during collective bargaining, for more information visit unifor.org/sjf.